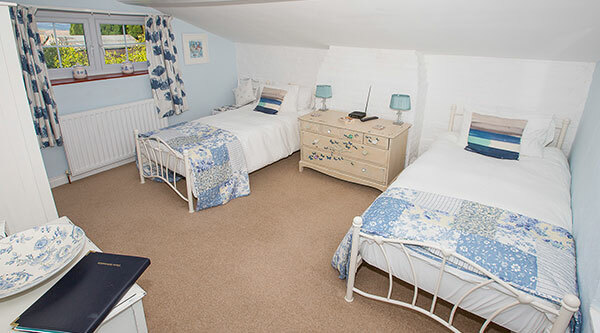 The Lotus Room is a large, bright and airy room with two sash windows looking out towards the picturesque coast. There are beautiful countryside views through both windows. This is a large bright room with dual aspect, one window looks towards the coast and the second looks access the rolling hills. 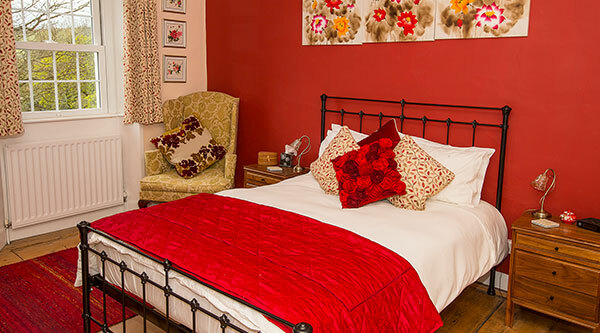 There is a king size bed and the room is decorated in warm rich colours. This is a twin room which is accessed down three steps which create a cosy feel that the room is separate from the rest of the house. 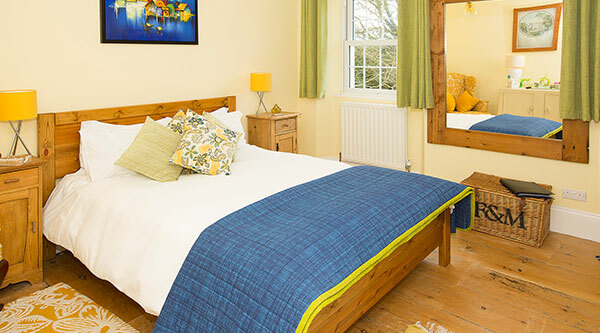 The beds are set either side of a painted brick chimney breast.